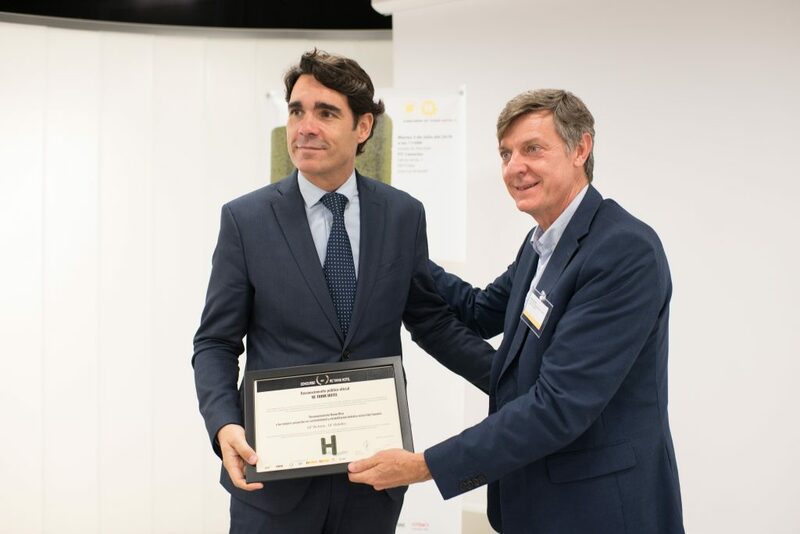 During the conference organized by the Grupo Habitat Futura, in collaboration with Ashotel, the new five-star resort of the GF Hoteles chain, the GF Victoria receives a distinction for entering the top 10 TSMEDIA that recognizes the best projects of sustainability and hotel innovation in all of Spain. Juan Carlos de León, Director of Operations of GF Hoteles, explained that GF Victoria ***** GL “is in the future of sustainability” in its institutional proposal, implementing innovative solutions that promote the achievement of this objective. At the beginning of the year, during the celebration of FITUR 2018 in Madrid, the qualifying jury had already commented on the qualities of the hotel, where it recognized the efficiency in the design of the complex and its integral system. It is a building whose energy consumption is carried out by 90% through renewable sources and highlighted above all for the materials used in the walls and roofs of the building. It has a greater thermal insulation and a minimum consumption of conventional energy. All these features have made that GF Victoria ***** GL become the first new hotel in the Canary Islands to receive the energy certification type A. An award that, in words of the general director of GF Hoteles, Victoria López, “is a prize dedicated to all workers” for their involvement and predisposition to the changes implicit in innovative strategies, processes that adapt to the new times and the new sustainable way to manage hotels.